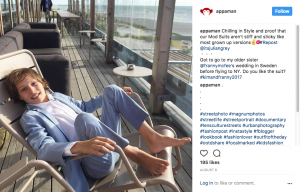 You are browsing the Blog for Fall style - Scoop: The Appaman Blog. 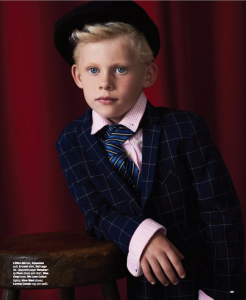 As kids fashion ideas go, finding grown up looks for littles is always a safe bet for maximum style. Trends may come and go, but sophisticated style is always a winner. 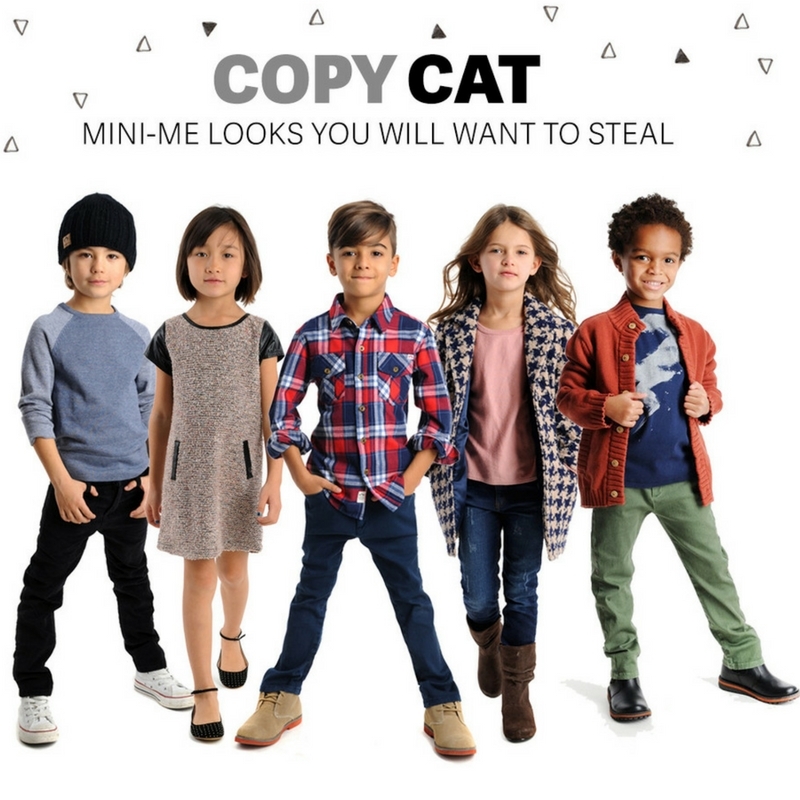 Instead of stealing from mom and dad’s closet for the latest styles, we built our fall collection to include some classic looks that even the youngest family members will love. 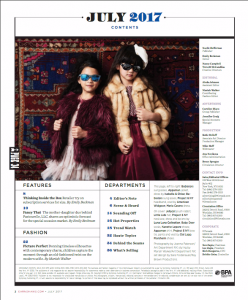 From boys flannel shirts and chunky cardigans to houndstooth coats and denim jeggings for girls, we’ve got their wardrobe covered this fall and winter. These are looks they’ll never grow tired of–and will make them feel like a little adult. Honey, who shrunk the clothes? The Fitz Cardigan: Thanks to a rib collar and trim, this distinguished sweater looks particularly sharp with a dress shirt and tie, but is a great multi-functional layering piece with a hint of collegiate style. Shop the Fitz Cardigan in Picante now. The Sterling Dress: The contrasting textures and shift shape of this stylish girls dress call to mind a little lady with chicness beyond her years. Shop the Sterling Dress now. The Cooper Sweater: The sporty raglan style will get him excited, while the fine knit fabric lends a more grown-up feel. Shop the Cooper Sweater in Ensign Blue now. The Top Coat: She’ll make a chic statement in this beautiful fall girls overcoat. The classic houndstooth pattern gets a playfully oversized twist and is woven with a lovely textured wool blend material. 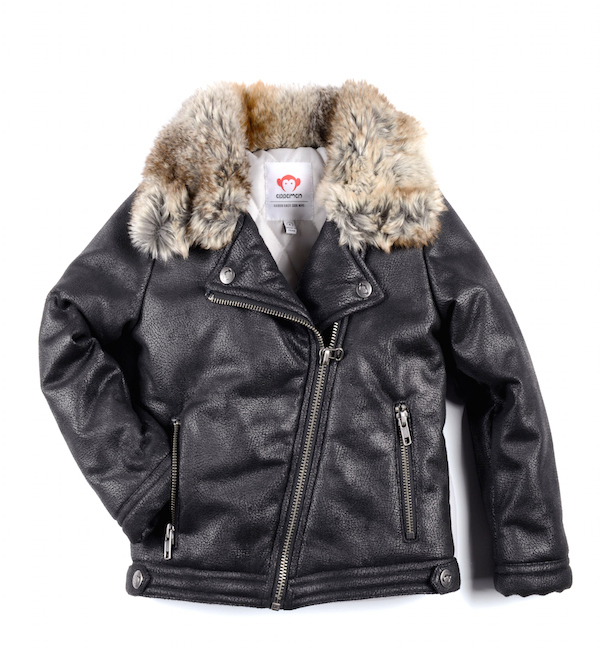 This classic girls coat is a must-have fashion forward piece that looks amaze dressed up with formal wear or down with jeans. Shop the Top Coat now. The Flannel Shirt: Guys of all ages should have a classic flannel in their wardrobe at all times. The timeless appeal (and comfort) of a great fitting flannel shirt for boys is fashion must have. 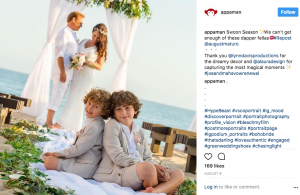 An Appaman fan favorite. Shop the Flannel Shirt in Scarlet Plaid now. The Bushwick Pant: This flat front chino with a fashionable, tapered fit, is a style must have for every guy–big or little. It’s the step above casual. Wear it with a graphic tee, or dress it up with a blazer for fancier occasions. Shop the Bushwick Pant in Four Leaf Clover now. The Denim Jegging: Denim plus legging has to be one of the best mashups of the millennium. We took the look of distressed denim and matched it with the comfort of your favorite leggings in these stylishly comfy slim-fit pants. They literally look good with everything. Shop the Denim Knit Jegging in Vintage Wash now. The first day of school is getting closer! 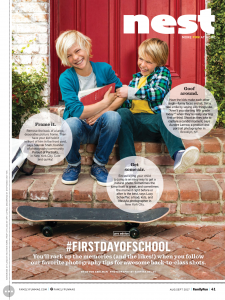 Now is the time to figure out that all important question: What will your kid wear on the first day back to school? 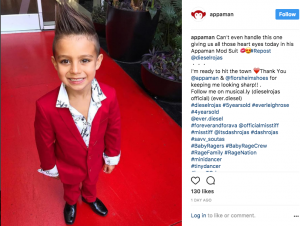 From laid back and sporty to rocker cool to old school looks, Appaman has got you covered with these first day of school outfit ideas. Get ready to slay on the first day! It’s a little bit country and a lot cool. 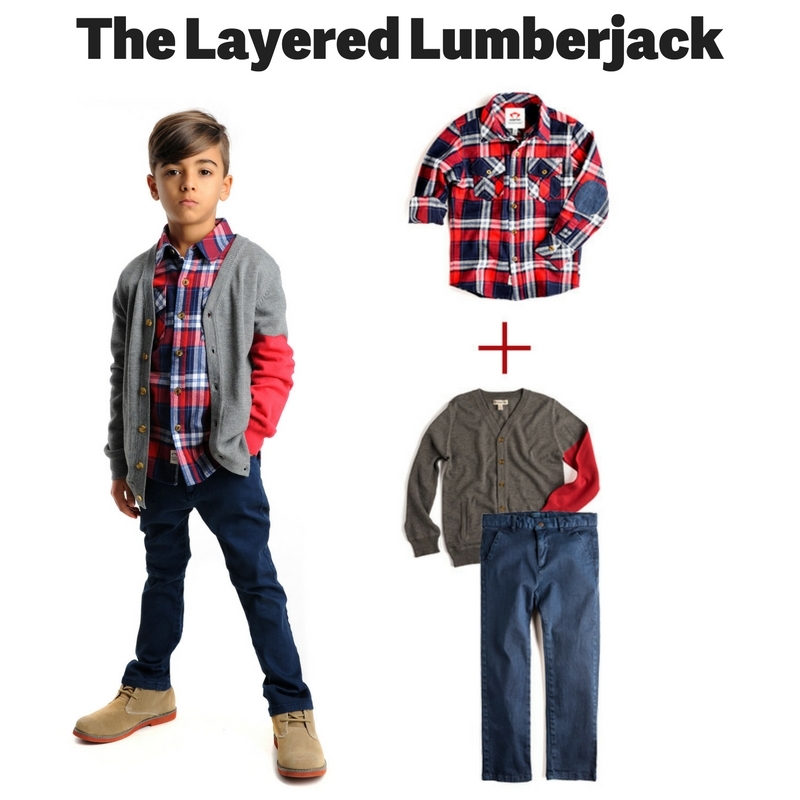 Mix our classic, wear-with-everything boys Flannel Shirt in Scarlet Plaid with a pair of our slim cut and super flattering Skinny Twill Pants in Ensign Blue, topping it off with our fall all star, the Prescott Cardigan, a lightweight fine knit sweater with a pop of color on the sleeve. We love this laid back look that has the right hint of preppy. This look is all about mixing sporty style with rocker girl touches. Our Kay Top in Rose Tan combines luxurious looking texture with a sporty raglan style. The shiny black piping adds a fun and femme edge. Pair it with our black Shiny Legging and she’s ready to make some serious style statements on the first day. There’s no reason to wait to bring her A game. This fierce ensemble will be her go-to look for every day cool. Not to mention each piece in this outfit will look amaze with everything else in her closet. Our Ari Reversible Vest is a fashion workhorse – one side is a shearling-like fleece and the other is black with gold dots. The Trophy Sweatshirt is a serious must-have sweatshirt for girls! With stars on the sleeves, thumbholes and a sporty yet girlie look, it will get some major play all fall and winter long. The Pipe Pant is a metallic gold dream. Made of stretchy legging-like fabric with two back pockets, it’s a glam slam for fall. 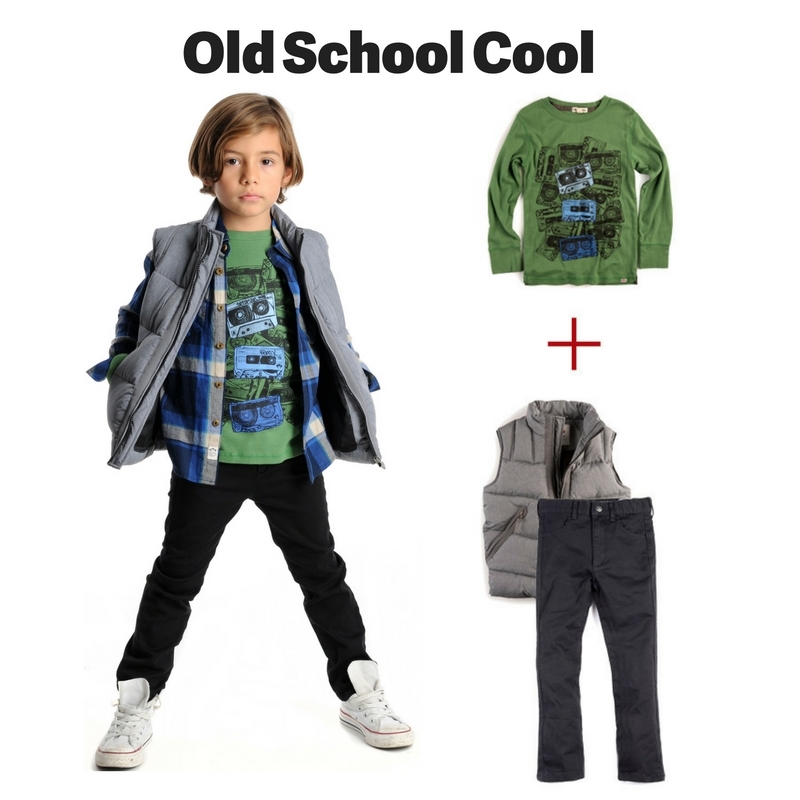 Whether it’s the throwback Cassettes Tee or the sporty puffer East Side Vest, we’re loving the old school vibe of this East Village-inspired look. Layered with our Flannel Shirt in Dress Blue Plaid and Skinny Twill Pant in Black, it’s a back to school look that never gets old. 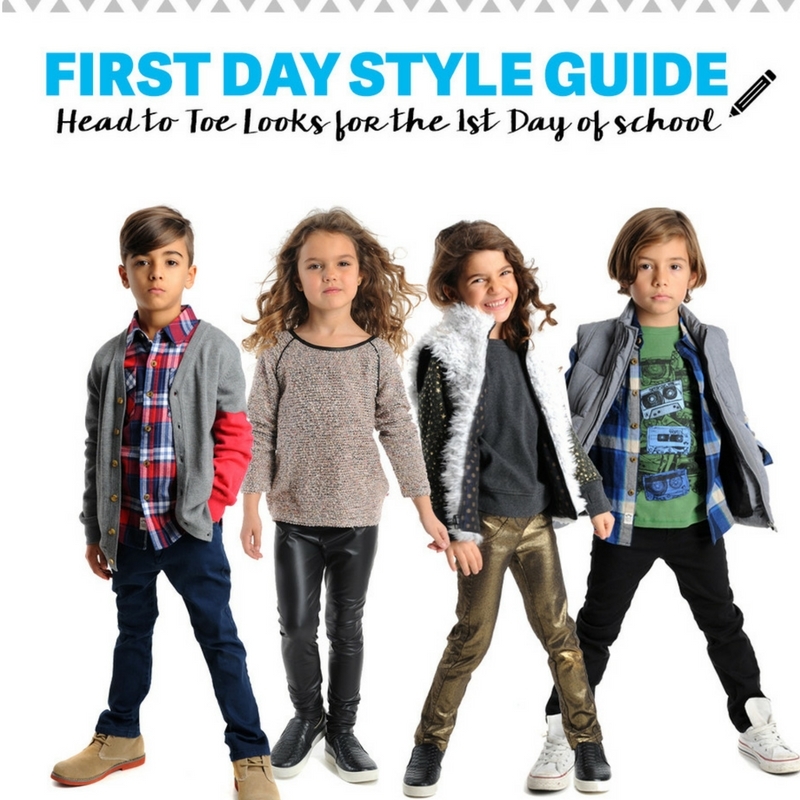 Get more first day of school looks for fall here. Don’t worry, we know there are still lots more beach days left to take advantage of this summer, but August always marks the end of vacation time and the start of back to school season. 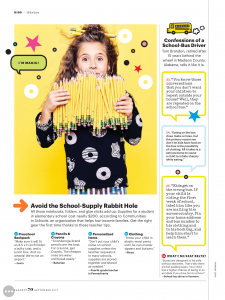 In fact, some states go back to school way before Labor Day (sorry guys)! 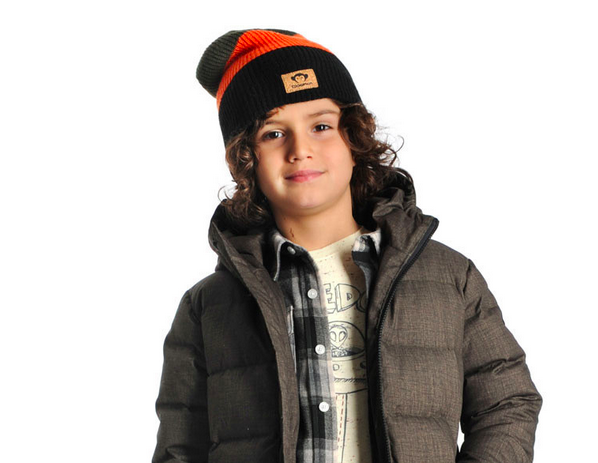 With the first day of school around the corner, we’re thrilled to give a first look at our new fall clothing for kids. 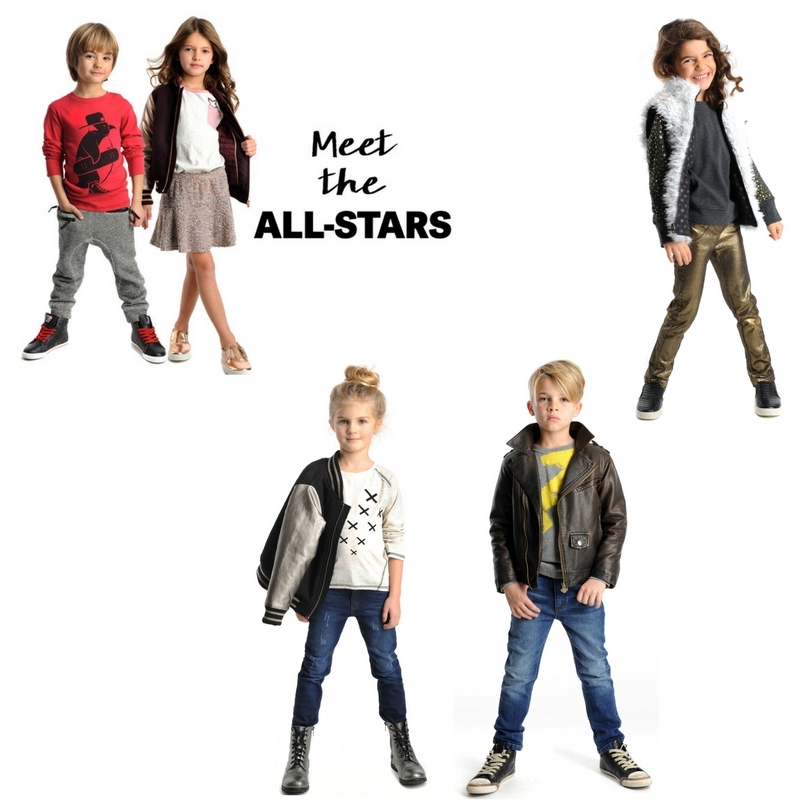 Packed with cute tops for girls, fall jackets for boys and girls, long sleeved tees and cool hoodies for boys, our fall all-star trends are on point for back to school. 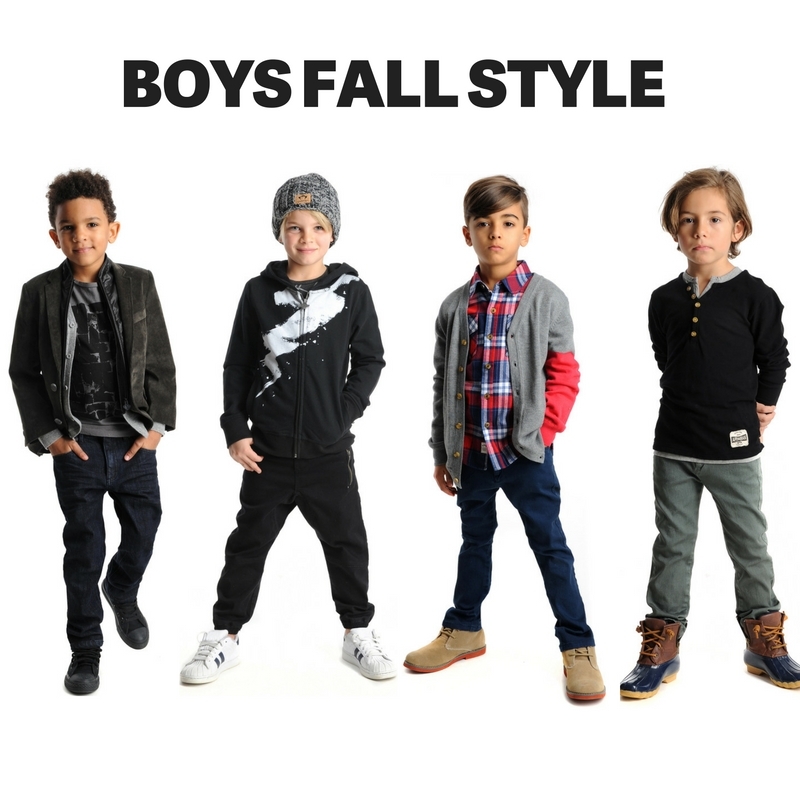 Our boys fall collection is loaded with easy to wear layering pieces that will make the transition from summer to fall seamless. Our Downtown Hoodie is the piece he’ll reach for over and over again. The cool lightening bolt design and super soft and slouchy style will be his go-to sweatshirt for the first days of school and through the whole season. The Prescott Cardigan is not your average cardi! With its bright colorblock sleeve for a pop of style makes it the perfect layering piece over a tee or shirt. The Camden Shirt, a classic and cozy henley style with a faux layered look, is the must-have boys shirt for back to school. Girls will rule the hallways this fall in the Ryder Varsity Jacket, an old school-style collegiate varsity jacket with chic rose gold sleeves and trim. Our advice? 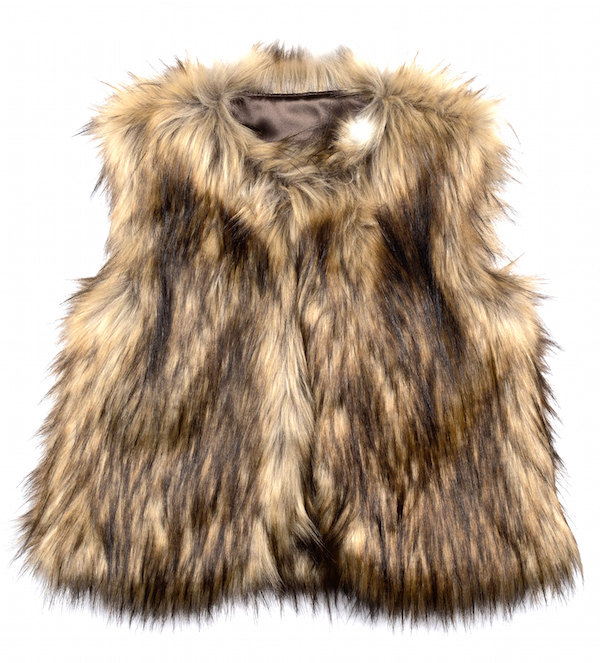 Snap up this one quickly, we have a feeling it’s not going to last (a la our faux fur jacket). 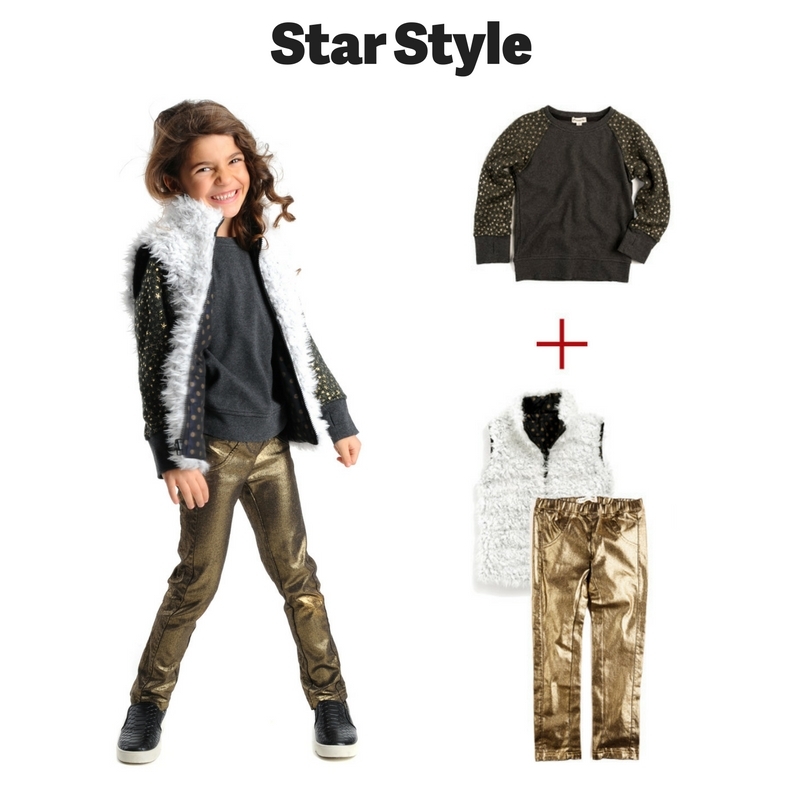 Another standout fall jacket for girls is the Ari Reversible Vest, with a shearling-esque fleece on one side and cool gold polka dots on the other. The Sterling Dress with contrasting texture is a casual girls dress she can wear to school or to a party and feel like a mini fashionista. Also earning all star status this fall is the Zoey Dress, a sassy and casual jersey dress with a faux-layered sweatshirt top and a handkerchief-hem skirt. Take a break from lounging poolside and get a head start on your back to school clothing shopping now. 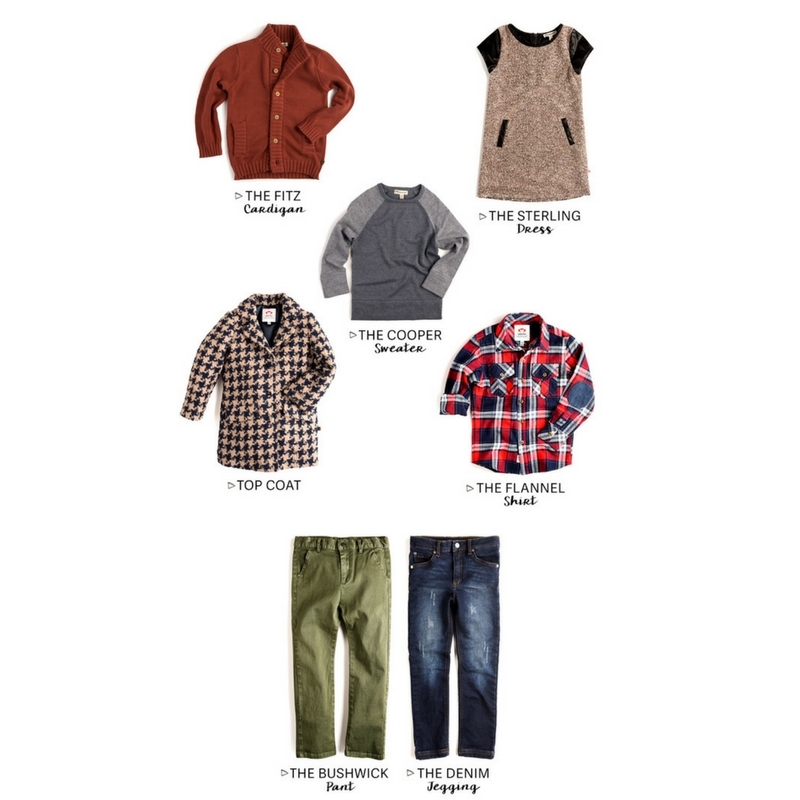 Shop fall clothes for girls and boys from Appaman. Made in NYC with love. It’s October! 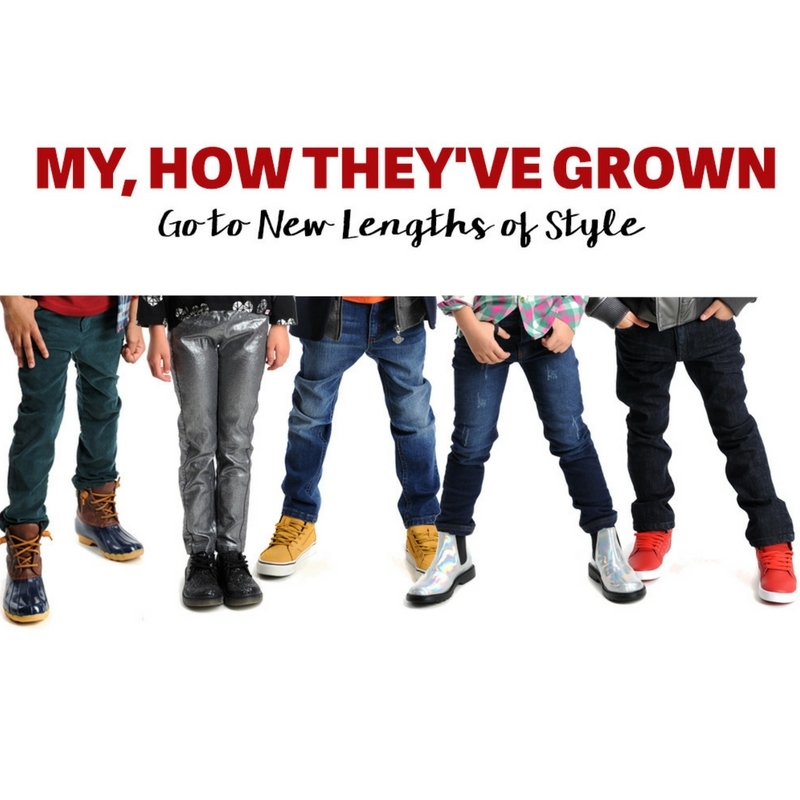 That means it’s time to take another look at what your kids need in their wardrobes. The air is getting chillier and winter is getting closer! 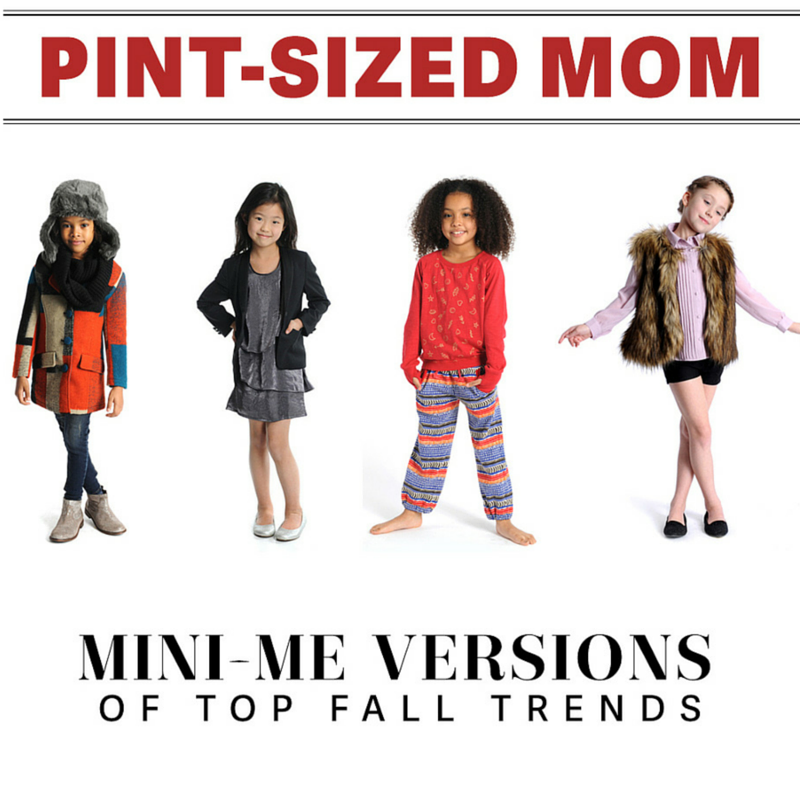 Fall kids clothing is all about adding layers on top and investing in warmer pieces they can wear into winter. 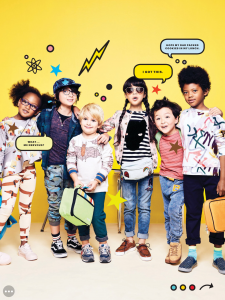 From sweatpants that are anything but sloppy to slouchy hats and snuggly coats, here are the best kids style ideas for the month of October and beyond. Probably the best layering piece like ever, the Appaman East Side Vest in Warm Olive adds a warm outer layer to any look. We love the cool olive color for fall. Most of us think H is for Halloween this month, but think again! 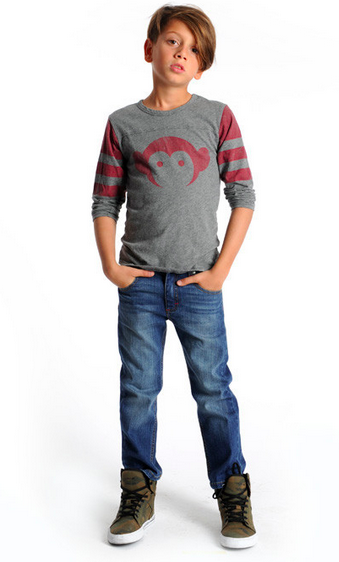 The Henley is the do it all fall layer for boys. 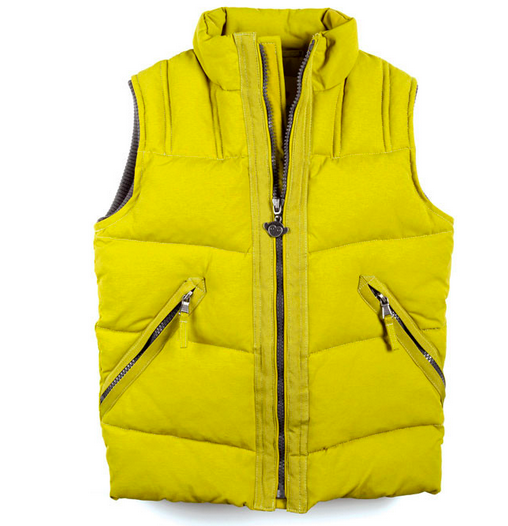 The thinner fabric is perfect for wearing under a jacket or over another t-shirt. 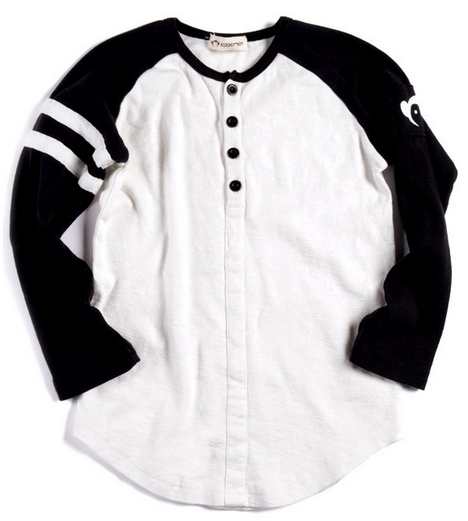 Kids love the Appaman Baseball Henley for its classic sporty look. Moms love it because it goes with everything. You’ll need a sharp blazer for all those times a hoodie just won’t cut it. 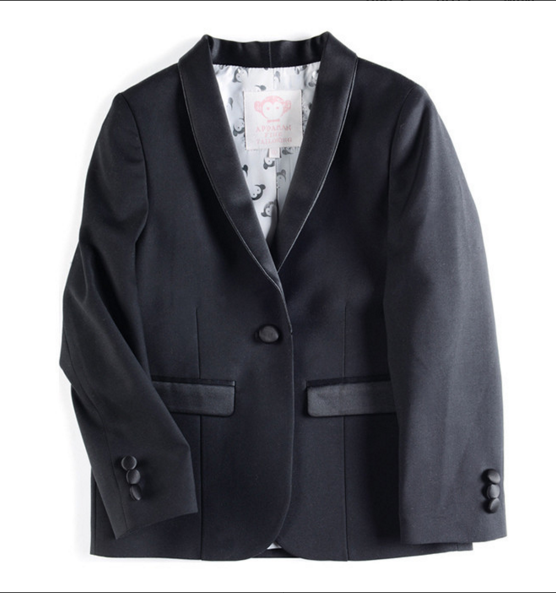 The Appaman Techy Blazer is a workhorse of a wardrobe staple. 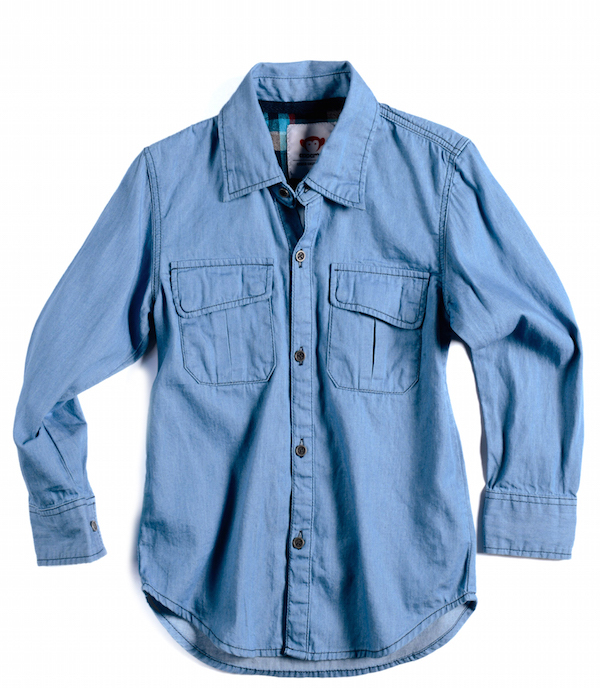 It looks seriously sleek with jeans and a tee as it does when paired with suit pants for fancy schmancy occasions. With his sandals stored away in the closet by now, it’s time to stock up on a pair of sturdier shoes for the fall and winter. The Varsity High Tops from our limited edition collection with Florsheim are the perfect sneaker/boot hybrid for this time of year. Plus they look super cool with both jeans and sweats. 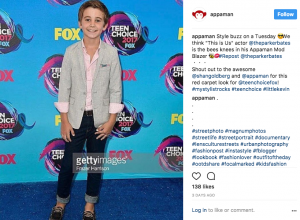 He needs a comfy pair of pants he can chill out in and still wear to school. 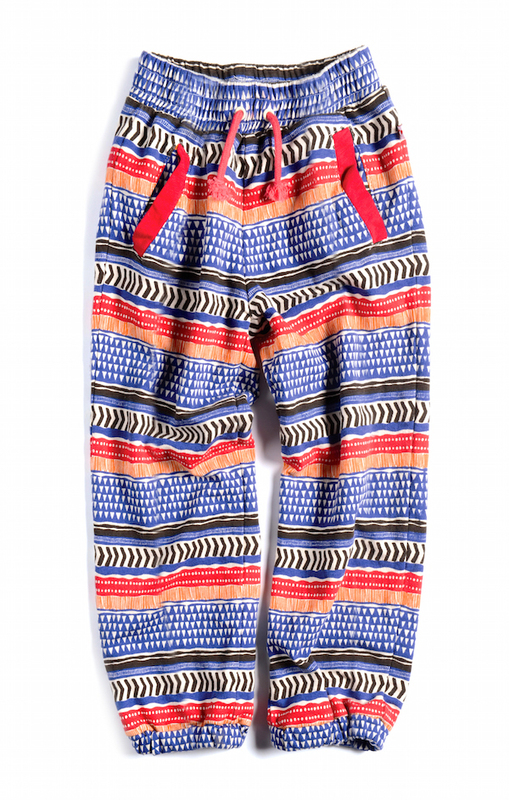 The AJ Pant is the coolest pair of lounging pants he’ll own. Made with super soft French terry, they’re tapered in ever so slightly and slouchy in all the right places. Just don’t call them sweats. Just ask any West Coast hipster and they’ll tell you the ski hat has become a style statement all on its own. The Trex Hat in Clementine is the perfect accessory to wear when the weather starts to get chilly. We love the slouchy knit style with everything from flannels and sweaters in the fall to puffers and parkas in the winter. The good kind of suspension that is! 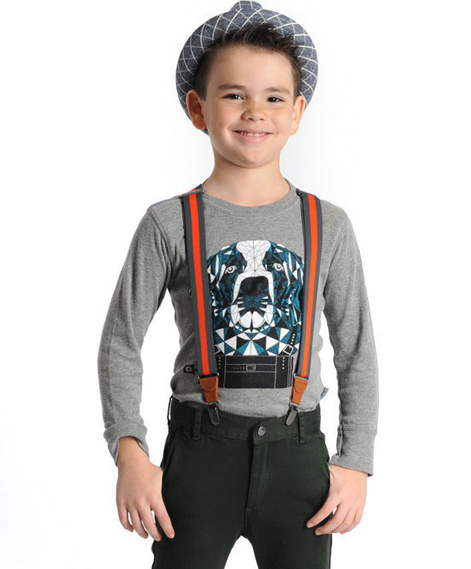 There’s something so cool about a pair of suspenders with a boys outfit. 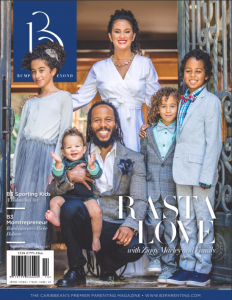 Whether they’re worn ska-boy style, over a long-sleeve tee shirt with high-wasted pants or traditionally with a suit and bowtie, suspenders will nail the look every time. A good pair of jeans is a style must for fall and winter. 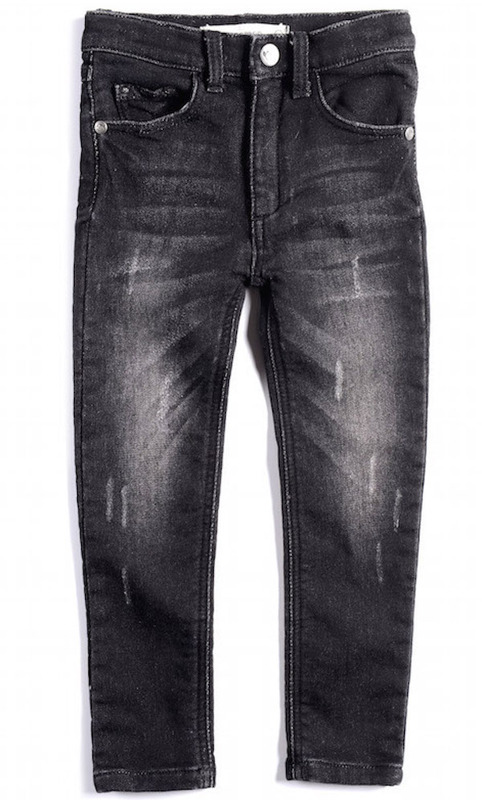 Our Straight Leg Denim in Dark Wash have that perfectly worn-in look. We designed them to be soft yet sturdy (they’re made to get down and dirty) with classic 5-pocket styling. 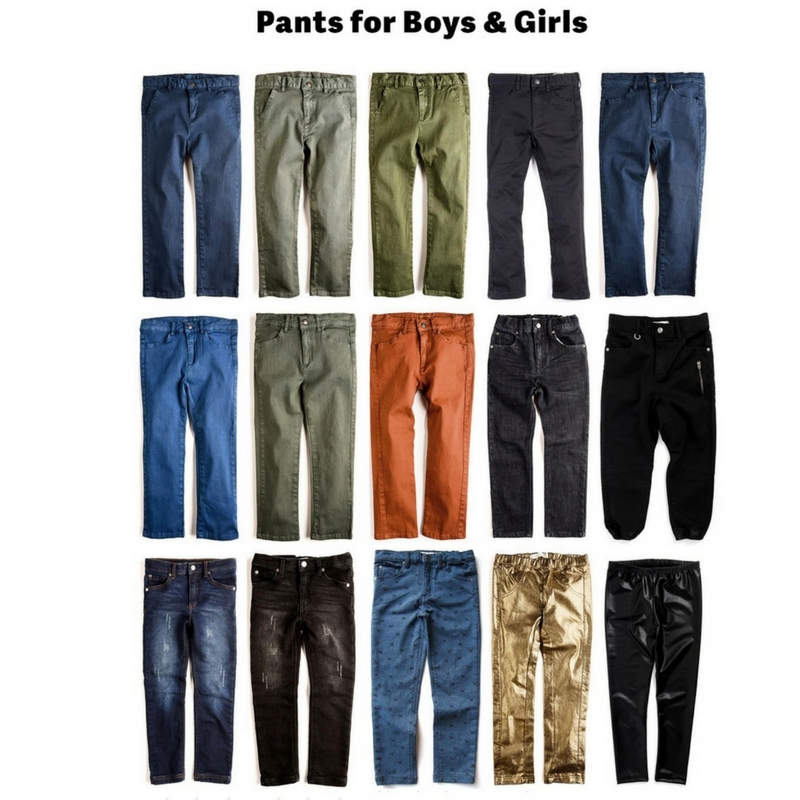 They’re simply the best boys jeans you’ll find. You won’t have to fight him to get into his coat with our film noir-inspired Gotham Coat. 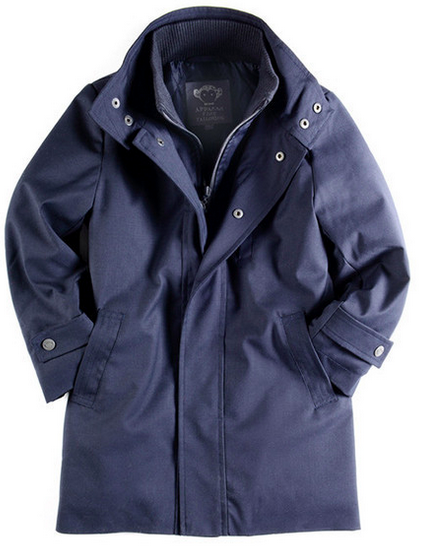 He’ll feel like a stealthy detective in this rain-resistant, lightly insulated coat, perfect for fall and early winter weather.